Jan Pieter Hendrik van Gilse was born in Rotterdam on May 11, 1881, the youngest son of Jan Albert van Gilse and Maria Auguste Höckelmann. He had two brothers and two sisters. His father was a lawyer, journalist and involved in political activism; from 1897 to 1901, he was a member of the government (Liberal Union Party). At an early age, Jan knew that he wanted become a conductor and composer. He enrolled at the Conservatory in Cologne in 1897. His teachers were Franz Wüllner for conducting and composition, and Max van de Sandt for piano. Still a student, he already enjoyed his first successes with his Concert Overture and 1st Symphony. After leaving Cologne, he continued his studies for some years with Engelbert Humperdinck in Berlin. In 1905, van Gilse got his first job: rehearsal conductor at the Stadt Theater in Bremen. That same year he completed and conducted the performances of his 3rd symphony Erhebung, in Bremen and Amsterdam. The work received a prestigious German music award, enabling him to work in Rome for two years. Unfortunately, he didn't enjoy his time in the “Eternal City;” he was too homesick to work. Much to his relief that period ended in May 1911 and he and his wealthy spouse Ada Hooijer settled in Munich. Once there, he worked on an opera Frau Helga von Stavern, which was never performed, and completed his first song cycle (with orchestra) on texts from Rabindranath Tagore's Gitanjali. Their two children were also born in Munich: Janric (1912) and Maarten (1916). Meanwhile, World War I was ongoing and conditions in Munich were worsening by the day. Consequently it seemed wiser to return to the Netherlands. But van Gilse couldn't find employment to his liking. In the past he had applied for a job as a conductor with the Residentie Orchestra (The Hague) and the Concertgebouw Orchestra (Amsterdam) but was rejected by all kinds of intrigues. A job application in Arnhem was also unsuccessful. Finally in 1917, he was appointed as a conductor at the Utrecht Municipal Orchestra, because its conductor Wouter Hutschenruyter, after decades of dedicated service, became director of the music school in Rotterdam. One can assume that Jan van Gilse, because of his musical education in Germany, was probably in his political views, also German-oriented. He wasn't. Only his compositions before 1922 have, to some extent, a German-romantic idiom, reflecting the great masters of the turn of the century: Bruckner, Strauss and Reger, and especially Mahler. As a conductor in Utrecht, from 1917 to 1922, he had the opportunity to put together his own concert programs. His two distinctive preferences were French music as of 1880 (especially Ravel and Roussel) and contemporary Dutch music, which was still largely influenced by German romanticism. In his own compositions, beginning with the second song cycle on poems by Tagore, Der Gärtner (1921-1923), French influences are apparent. Van Gilse eventually reached a synthesis between French impressionism and German Romanticism, yet still dominated by Gallic elements. In his later work, old Dutch folk music also played a role. His years in Utrecht were fruitful; artistically he made the most of this provincial orchestra with great performances of Mahler's 4th, 5th and 7th Symphony, Debussy's Nocturnes and Berlioz's Symphonie fantastique. In addition, van Gilse's was deeply committed to improve the living and working conditions of the orchestra members. He founded a pension fund for the musicians, and even deposited the first thousand guilders. He also broke the contract with the owner of the venue, who had shamelessly exploited the orchestra, making both friends and enemies in the process. The composer Willem Pijper, at the start of his career grateful for the opportunities given by van Gilse, later became a bitter enemy. As a critic for a popular newspaper, Pijper systematically annihilated van Gilse's conducting. Van Gilse demanded that Pijper be barred from his concerts, but the orchestral board did not intervene. Van Gilse, now feeling abandoned and dissappointed, resigned. The argument of Pijper’s admirers, that understanding of this situation will only occur when all reviews from those years will be published, does not alter a thing. Most of Pijper's reviews from that time have been republished and are accessible.The question is if they shed a different light on this matter. After leaving Utrecht, van Gilse moved to Blaricum, then to Laren; then he lived for one year in Switzerland, and eventually settled in Berlin. 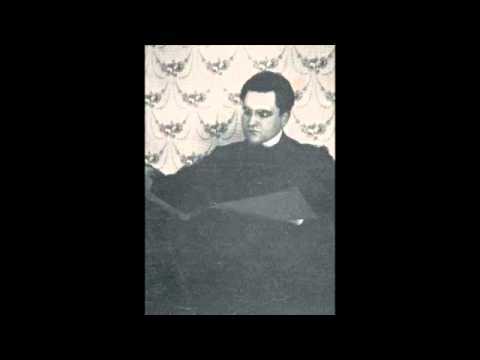 In 1922, he finished his cantata Der Kreis des Lebens to texts by R. M. Rilke. When Hitler seized power in 1933, van Gilse immediately returned to the Netherlands. He applied for the position of director of the Utrecht Conservatory and was appointed on October 1, 1933. Again he was confronted with Willem Pijper, who, since 1930, was director of the Rotterdam Conservatory. Van Gilse disliked his job. As usual in times of crisis, the budget for education in the arts was limited to a strict minimum. His plans to start an curriculum of light music, a major study for harpsichord and to train students for radiobroadcasting, didn’t materialize in his lifetime. Once again, the disillusioned Van Gilse resigned in 1937, becoming a private citizen for the rest of his life. Next to composing and conducting, Van Gilse was an active organizer in the Dutch music world. Together with composers Van Anrooy, Diepenbrock, Wagenaar, Zweers and a few others, he founded the Society of Dutch Composers (GeNeCo) in 1911, and a few years later, BUMA, the Dutch music copyright agency. Van Gilse was president of both organizations for many years. Also on his initiative – the NMB (Foundation for Dutch Musical Interests) was established in 1935 and a year later Maneto (Manifestatie Nederlandse Toonkunst) followed, both to promote and generate interest in Dutch music both in Holland and internationally. His organizational qualities were obviously well known in Germany. Richard Strauss invited Van Gilse to serve on an international committee representing the interests of composers worldwide. He showed no enthusiasm. Another invitation arrived a year later, with a vague promise that Van Gilse's music, rather seldom performed in the Netherlands, would be programmed at the large German music festivals. Again he refused and his rejection was remembered by the Germans after the raid in May 1940. Between 1937 and 1940, Van Gilse worked on his opera Thijl, a genuine Dutch folk opera, set in the Eighty Years War. It took 36 years before it premiered and is now considered his best work. After the catastrophic German bombardment of Rotterdam in May 1940, the Rotterdam Philharmonic Orchestra lost its entire library, its concert hall and a number of instruments, and Willem Pijper lost almost all of his possessions. 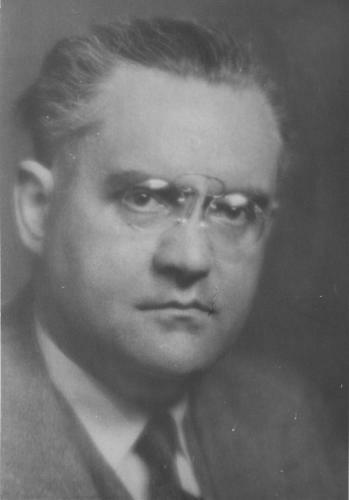 Van Gilse, as chairman of the GeNeCo, offered financial support to the orchestra. And from his own pocket he helped his old enemy Willem Pijper with books, scores and money that he could pay copyists, making performances of Pijper's music again possible. Because Van Gilse behaved in a straightforward way and did not hide his aversion towards the occupiers, it was in the Germans' view impossible to collaborate with him. The BUMA board, which included two Jewish members, was summoned to a meeting with the German delegation in an Amsterdam hotel. Van Gilse refused and promptly, by “superior order” he was forced to step down as chairman. The same thing happened shortly thereafter with GeNeCo. Consequently he could no longer provide services for any of the other Dutch music organizations. He decided to stop conducting althogether from the moment that Jews were prohibited from attending concerts. Before April 1, 1942, every Dutch musician had to register with the Kultuurkamer, a regulatory cultural agency installed by the German occupying forces during World War II. Those who didn't could no longer exercise their profession. Many, especially those with a family, buckled under this pressure while others simply refused to register. Van Gilse thought that the GeNeCo should disband. With a group of allies he sent a letter of protest to Seyss-Inquart, signed by hundreds of artists and intellectuals. This was considered an act of high treason and as a result he had to go into hiding. Just in time: a few days later his home in Amsterdam was raided, but all the incriminating documents were already safegarded. At that time, the BUMA was also was confiscated by the Nazis and the pension fund was plundered. Even in hiding, Van Gilse was not the type to twiddle his thumbs. He founded the De Vrije Kunstenaar (The Free Artist) an illegal protest magazine which appeared under different editors until the end of the war. Under instructions of the German occupiers, all of Van Gilse's music was removed from libraries; performances were banned. Luckily and just in time, a heroic librarian at the NMB, secretly took all his scores with her, preserving them from destruction. Between March 1942 and May 1944, Jan and Ada van Gilse lived a life on the run at some eighteen different hiding places. Everytime they were forced to move, they took three volumes containing the score of his opera Thijl with them. These had not yet been copied and finally were safely deposited behind shelves in a wine cellar in the village of Nunspeet. Jan and Ada were betrayed twice but escaped in the nick of time. Disaster struck when their sons Janric and Maarten, both fighters in the resistance movement, were betrayed and executed by by the Germans. The Van Gilses never recovered from this tragic loss. At their last hiding place, the summer cottage of the Escher family near Oegstgeest, Jan van Gilse fell gravely ill and on September 8, 1944, six months after the execution his eldest son, he died. Because he was still wanted by the Germans, he was buried under a false name. Ada was in a deplorable state of sadness. After the war, a memorial stone sculpted by Mari Andriessen was erected at gravesite no. 343 of the cemetery at the Groene Kerkje in Oegstgeest. This monument represents a mortally wounded soldier, the sword in one hand pointing downwards, but in his other hand a lyre held high.